Hi friends! Happy Thursday! Please welcome back special guest Angie Backman of Concord & 9th! She made this adorable card pictured below with some newer releases from Concord & 9th! Please read on for more information and enjoy! We have had such fun with our new Petals & Pallets stamp set and dies! We had the trendy pallet art and farmers-market-type crates in mind when we designed the products! We envisioned crates full of beautiful blooms, pallets with words stamped on top and wanted a way to create a little 3D crate to hold gift cards too! Today we decided to ‘think outside the crate-box’ and we created a chalkboard frame with the wood slats instead. 1. Create a card base with your white card stock. 2. Cut black cardstock to 3 3/4” x 4 3/4”. 3. Stamp and die cut the 3 flowers and leaves in your favorite colors. 4. Die cut 2 pallets, and stamp on 4 of the slats with your woodgrain stamps. 5. Trim off 4 of the slats, clipping the little connectors in-between the slats off. Leave two at full size for the sides of the frame. Cut 1” off two of the slats for the top and bottom of the frame. 6. 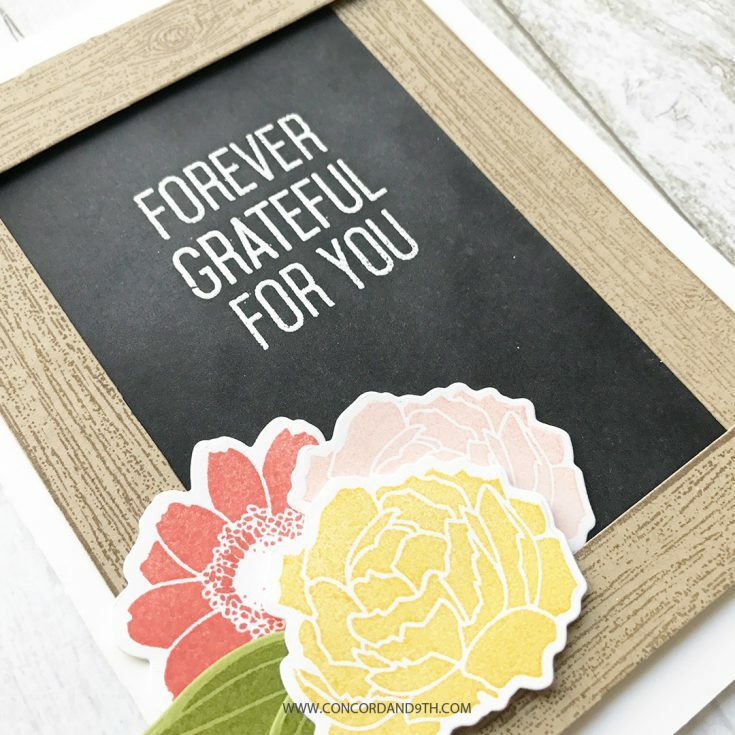 Use your embossing powder tool on the black cardstock before embossing. Rather than wipe away the chalk residue, we left it on to give it more of a used chalkboard feel. Build your sentiment of choice (there are many to mix & match), stamp with white pigment ink, sprinkle with white embossing powder and heat set. 7. Adhere the black card stock to the front of the card base. 8. Adhere the side frames with tape adhesive. Attach the top and bottom frame pieces, and the flowers/leaves by using some foam tape to give it a little dimension. It was pretty quick & easy to create! Check out all the different samples on Simon Says Stamp HERE to see how to use the flowers in bunches, single flowers, pallets & crates too! We also have two videos you can watch. THIS VIDEO is instructional showing how to use the pallet dies with stamps. THIS VIDEO shows how to make a 3D crate & tissue paper flower and include a tasty treat for someone special! We hope this has inspired you and given you even more ideas for Petals & Pallets stamps and dies! We love seeing what you create so be sure to #concordand9th. We also love working with Simon Says Stamp and really appreciate being highlighted on their blog today! Thanks for reading today and thanks to Angie for being our guest! Those wood planks look so real. Thanks for the tips and tricks. Oh my goodness I totally LOVE this stamp and die set! So sweet! Angie’s card is lovely and thanks for the heads up on the samples in the SSS store, they are beautiful too! I do love seeing videos of new products as you can really see what can be done with dies such as the Pallet die. Love the realistc woodgrain panels. Adorable. The woodgrain pattern really makes the card. 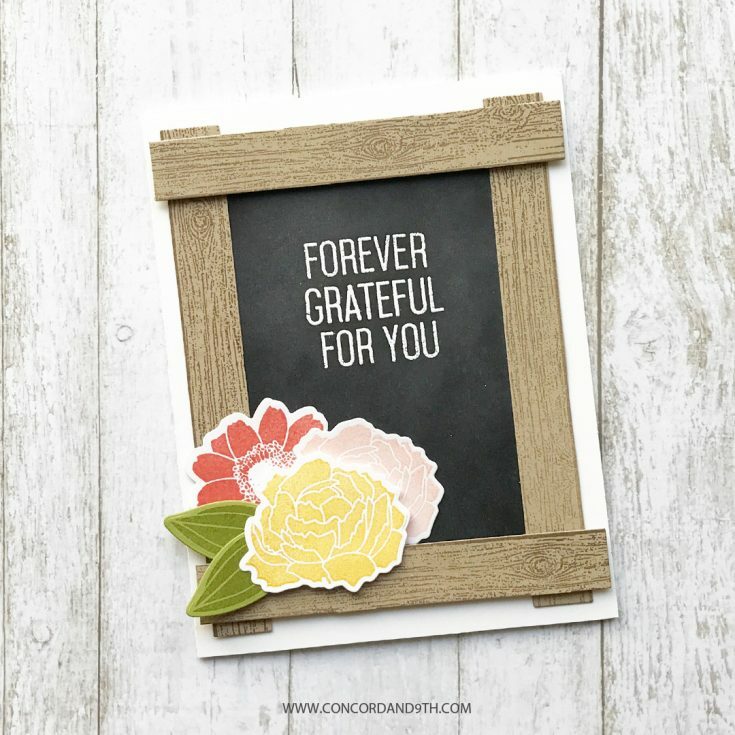 Love the rustic look of this pretty card! AWESOME! Love the blackboard look! Pretty card. I like the woodgrain stamp – nice added touch to the card. Very beautiful and elegant. The colorful blooms are gorgeous! Wow! Love the wood look. It looks so good with those flowers. Such a lovely chalk board Card. I really like the wood Frame, and the beautiful flowers to soften the look. Definitely inspired! Thanks for sharing! I love the wood look! I love how this turned out! So clever, I’ll have to give it a try!! 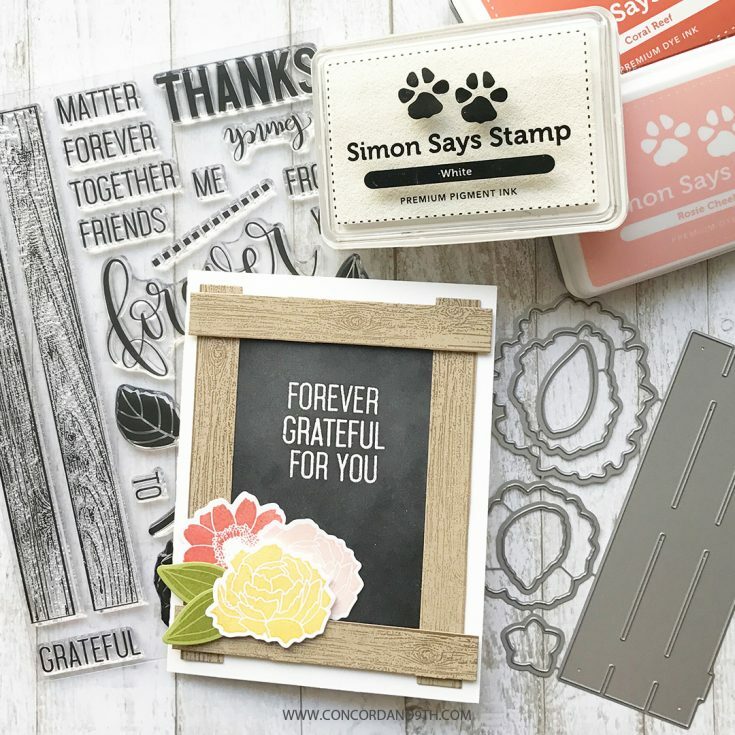 STAMPtember® Exclusive Limited Edition Card Kit!